I’m sorry to say that after many years in this beautiful little town I am moving on. It has been a pleasure to be able to provide this blog and I hope that people to continue to benefit from it for years to come :-). I won’t delete any content, but I’m afraid that eventually most of the information will become out of date. But who knows. One day I might move back and I will for sure start to blog again. And thanks to everyone who followed the blog and all of the e-mails of support I received. Are you wondering where you can find a little life in St.Gallen? If you are interested in football, the Europa League to be specific, then why not head into town this Thursday (29th August) at around 6pm for kick off. St.Gallen are playing Spartak Moscow and numerous bars are going to be showing the game. This would either be an excellent evening for a night out, or if you don’t like football, an excellent evening to avoid the city centre! Now for a recommendation on where to watch it. 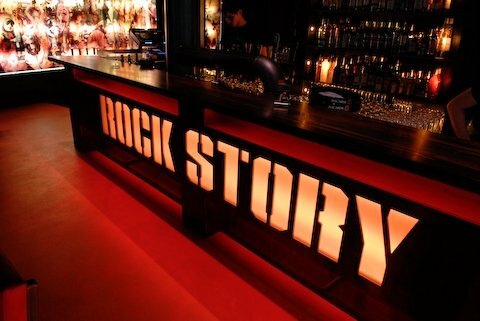 A great place to go is Rock Story in Augustinergasse. This is a cosy backstreet near the Marktplatz and aside from being a great place to go anyway for a drink, the atmosphere is great if you want to watch some sports. In addition, the staff speak excellent English and are always welcoming. In addition they have a table with a private beer tap in case you want to reserve space for a group! On warm evenings, people spill out into the little car-free square in front which Rock Story shares with a few other bars. All in all, a great place for a night out!